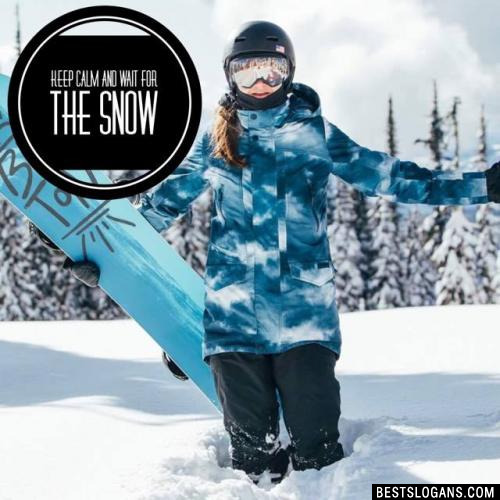 List of creative snowboarding slogans, sayings and related quotes for marketing... t-shirts, posters, etc. 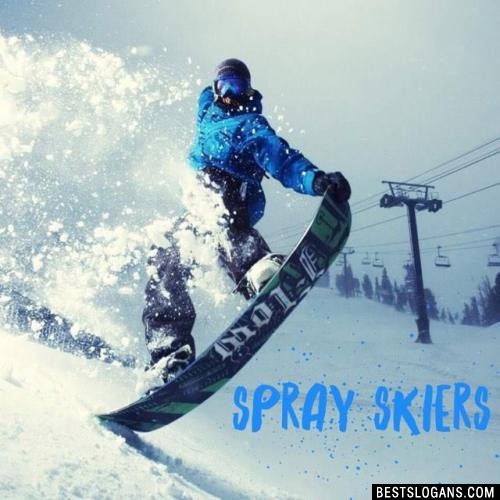 Snowboarding was invented in the 1960s and started out as snurfing by a fellow named Sherman Poppen. 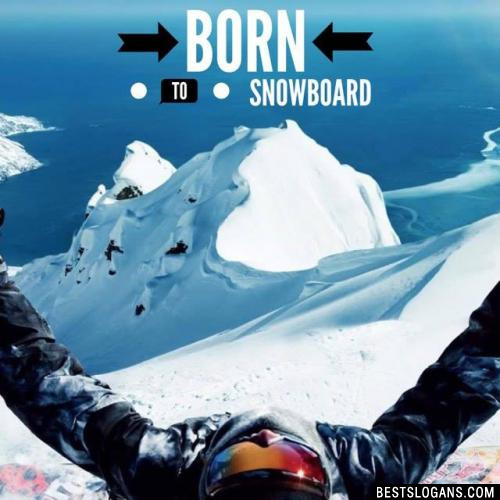 Here are a few more facts you may not have known about snowboarding. Until the early 1980s, snowboarding was banned at resorts. Snowboarding makes up 30% of resort revenues during the winter season. 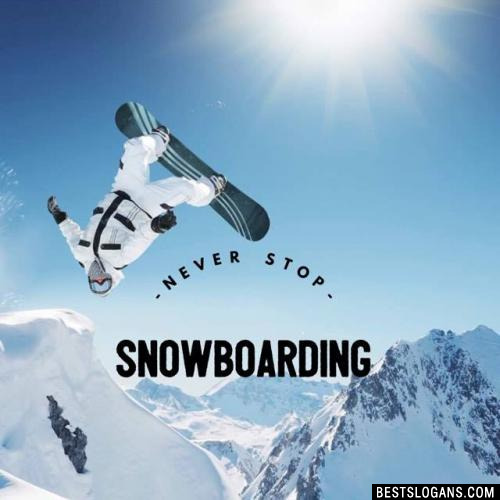 In 2000, snowboarding was the fastest growing sport in the US. Skiing is more dangerous than snowboarding. Learning to ride will definitely take work, and a willingness to return to that awkward "beginner" status. But many people have found that the rewards are surely worth the trouble. It's easy to hate winter. Cold. Ice. Shoveling snow from the driveway. Driving in the snow. 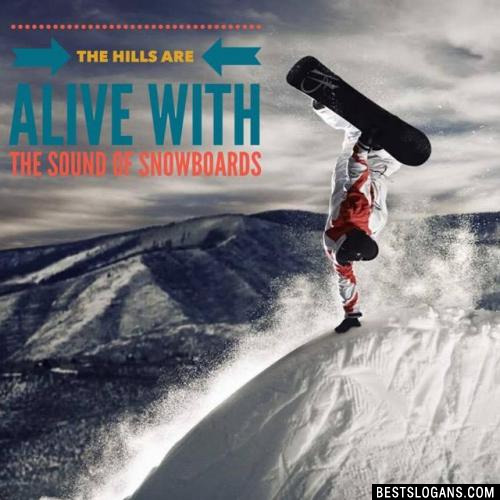 But snowboarding puts good use to the cold. While the snow is a nuisance if it's on the road, its a source of pleasure if it's on the mountain. If you're in the northern part of the U.S., you're going to have a cold winter and some snow; you might as well find a way to enjoy it. 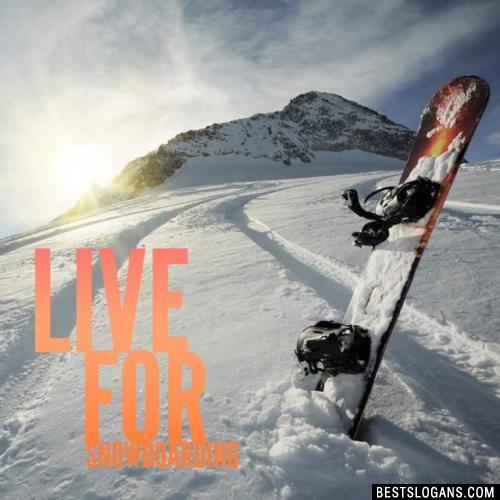 19 Boarders Rule, Skiers Drool! 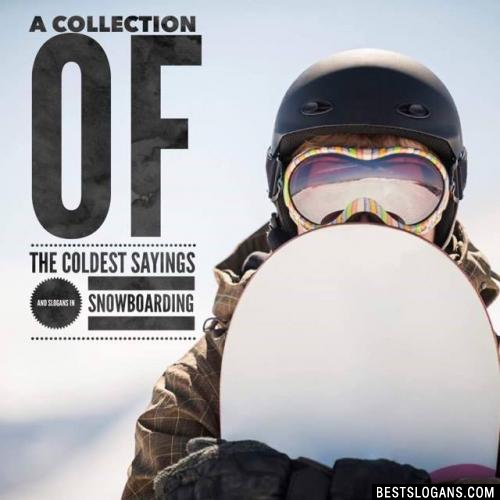 Can you think of a good Snowboarding Slogans we're missing? Or come up with a clever one of your own. Please share below.